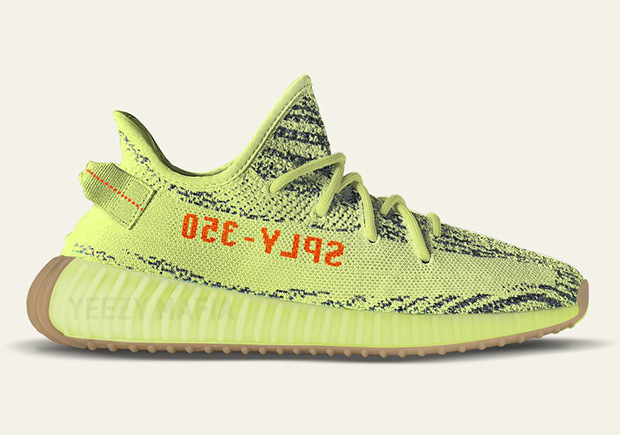 The “Semi Frozen Yellow” Yeezys won’t drop until November, but we’re learning of new details regarding this highly anticipated release that may change up your plans. The Yeezy Mafia reports some scintillating information that may affect your decision to cop, because the shoes are said to be the most limited Yeezy Boost 350 v2 release ever. In addition, the soles will not feature the attractive glow-in-the-dark detail and will be replaced with a gum sole. This mock-up of the shoes don’t appear to be too promising, but if you’re in the market for some new Yeezy shoes for your rotation, this information is certainly useful. Stay tuned for updates and read up on other updates regardin Yeezy releases for Holiday/Winter 2017-2018.